Monday was awesome! We hope the party last night woke you up just enough to energize you for the week ahead but didn’t wear you out such that you can’t enjoy today. Maybe start off the morning today with a banana and a water bottle from the snack table? Shake off the sleepies and get down to business. We’ve got a full schedule of events for you today! At 10:00 mentoring sessions begin at the BizMobile bus from Chase! You won’t want to miss these one-on-one sessions with business professionals so sign up for your sessions right now! Fashionistas can learn how to build and sustain a fashion brand at 11:00 featuring a whole panel of fashion and business pros. At 1:00 Learn photography basics using your own smartphone, a workshop taught by Caitlyn Connolly of Social Media Squared. Do you know what Adaptive Education is? Check out this panel at 2:30 to learn about it and its future featuring an exciting panel of speakers. Learn from Lead Organizer JR Griggs of Red Wall Marketing how to deal with Public Speaking, Roller Coasters, and Tourette Syndrome at 4:00. Chat with Matt and Caleb Maddix to learn how they became a multi-million dollar father/son duo at 5:00! And, the pièce de résistance (aka Marquee Event), “Life on a Tightrope aka Work/Life Balance & Other Fairytales” featuring special guest speaker Carrie Wilkerson. Learn what balance is from a business owner with no staff who has been the primary breadwinner for a family of 6 for 21+ years. There’s so much more this Tuesday to go and see. I’ve just picked out the ones that looked good to me, but you might find something else that piques your interest. 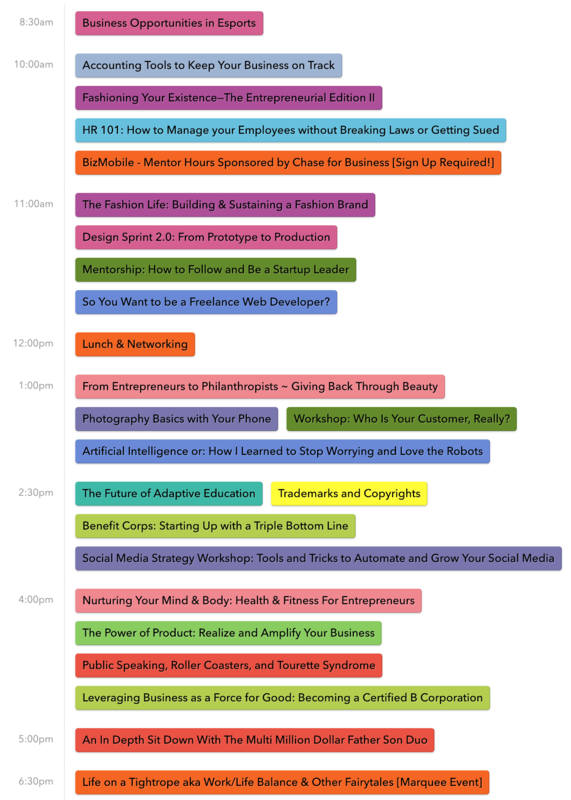 Check out the full schedule below and click to find out more details and register! 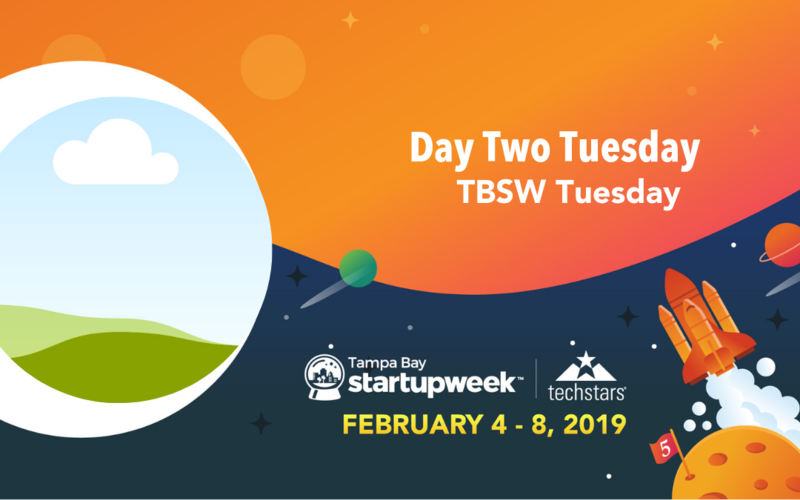 © 2019 Startup Week Tampa Bay. All Rights Reserved.